Restaurants have been a passion for the Siegle family since 1959, when Poppa created the first Alamo Fried Chicken. With that, a seed was planted in a young Steve Siegle that would breed a vision that has now lasted since 1971. In Staten Island, NY, a man named Kitalgos passed down his pizza making secrets to Steve. 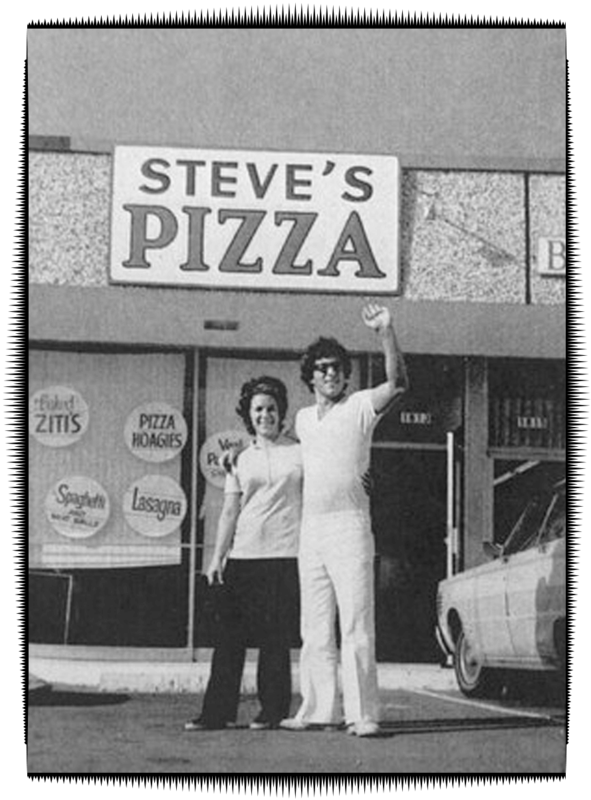 After serving our country as a chef in the US Army, he opened the first “Steve’s Pizza” on 164th Street in North Miami Beach. The place was a big hit, so much that he opened 2 more locations in Aventura and on 441. Steve passed away from natural causes early 2011, but the brand lives on thru the Cooper City location, which has been in operation since 2002. Nestled in the Countryside Publix Plaza of Cooper City, Steve’s Pizza is a local family-owned and operated pizzeria since 1971. In addition to being able to customize your own favorite pizza, their menu features their Original Cheese and Tomato Sauce Pizza, Specialty Pizzas, Subs, Salads, Wings, Rolls, Calzones & Strombolis. They’re open 7 days, so call or order online for delivery (limited area) or pick-up!